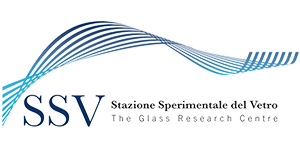 The redox state of a glass is a crucial parameter, since it has a strong impact for example on the refinement process, on the gases solubility behavior, on viscosity and, above all, on the colour stability of glass. Maintaining stable control over redox is especially crucial for reduced “dark” glasses, such as amber, yellow-green and UVAG colors, where chromophore groups are extremely sensitive to changes in the iron’s oxidoreductive equilibrium between Fe2+ and Fe3+. The control of the redox state of the final product can be performed by measuring the Fe2+/Fetot ratio using appropriate investigation methods: in particular, the overall Fe content is evaluated by X-ray Fluorescence spectroscopy, while the Fe2+ content is estimated by UV-Vis spectroscopy as a function of the intensity of the typical absorption band of Fe2+.